Henry Gaylord Wilshire was contradiction- at once a champion of socialism, and at the same time a serial entrepreneur who made and lost several fortunes in a wide variety of business ventures. In his day, Wilshire was known as the Millionaire socialist- wearing his signature black tuxedo and with a well trimmed beard. Henry loved to golf and ride horses, and to enjoy the finer things in life. Henry hob knobbed with the social elite of his day. He ran for congress, attorney general, parliament, on several separate occasions. He lost every time. 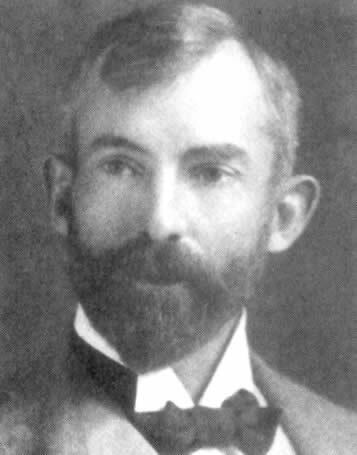 Henry Gaylord Wilshire (1861–1927) came from a wealthy family in Cincinnati, Ohio. 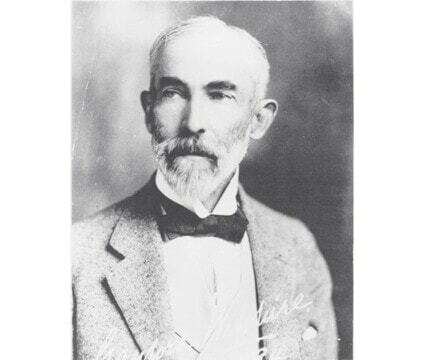 His father George Wilshire was a millionaire (making him a very rich man in those days) and served on the board of directors of six major businesses, owned a bank, and three small railroads, and helped found Standard Oil of Ohio. Henry’s childhood house was across the street from future US President William Taft’s house. Henry’s father George Wilshire had only an elementary school education and he felt strongly that Henry should go to college. Henry was sent to Harvard. After one year Henry dropped out. Henry’s father sent him to work in his Steel Mill in Cleveland called Newport Pipe and Cable. Just a few months after arriving, Andrew Carnegie’s steel trust slashed the price of steel to run the competition out of business and Henry’s father sold the small steel mill before it went bankrupt. Around about this time Henry read Progress and Poverty by Henry George. This socialist book would have a major influence on him. Henry joined a local socialist club that met once a week and was voted president. Henry moved to San Francisco and joined his brother William who had started a safe and scale business there. In San Francisco again Wilshire would encounter powerful trusts and a huge divide between the rich and working class. San Francisco was run by four men: Charles Crocker, Leland Stanford, Collis P Huntington, and Mark Hopkins. They hired migrant laborers to build the transcontinental railroad and were land barons. The Wilshire brothers had a lucky break in San Fran when Henry went riding with a potential love interest, Arelen Ivers, daughter of a prominent San Francisco laywer and business man. On their ride, a wildcat leapt out in front of their horses and Arlene’s horse went mad and dashed off towards a cliff. Henry rode beside her and stopped the horse. When he dismounted from his saddle to help Arleen down, the horse bucked and kicked him in his face- giving him a six inch scare along his jaw. This is the reason the Henry always wears a Van Dyke style beard, to hide the scare from the horseback riding accident. Travelers passing by helped Arlene and Henry back to town where he received medical treatment from a hospital. Word spread of Henry’s heroic deed and all of Arlene’s friends and family made it a point to give Henry their business. Wilshire Safe and Scale thrived. The brothers received an offer to buy them out from competitor Reynolds Safe Company and they sold their interest for a $100,000 profit over their original investment. Henry looking for the next big opportunity arrived in Los Angeles with his brother in 1884 at the age of 23. The population of Los Angeles at that time was ~11,000 but rapidly growing. The timing of Henry’s arrival was late- he arrived just after the crash of a Land Boom. Money was changing hands so quickly at that time that it was hard to know who owned what. Real estate agents know as “escrow Indians” were notorious for cheating investors out of their money with scams. The escrow indians would rent flatcars and take truck loads of people out to vacant tracts of land, where they provided free lunches, brass bands, and all the beer you could drink and sold lots in a frenzy in this circus-like atmosphere. 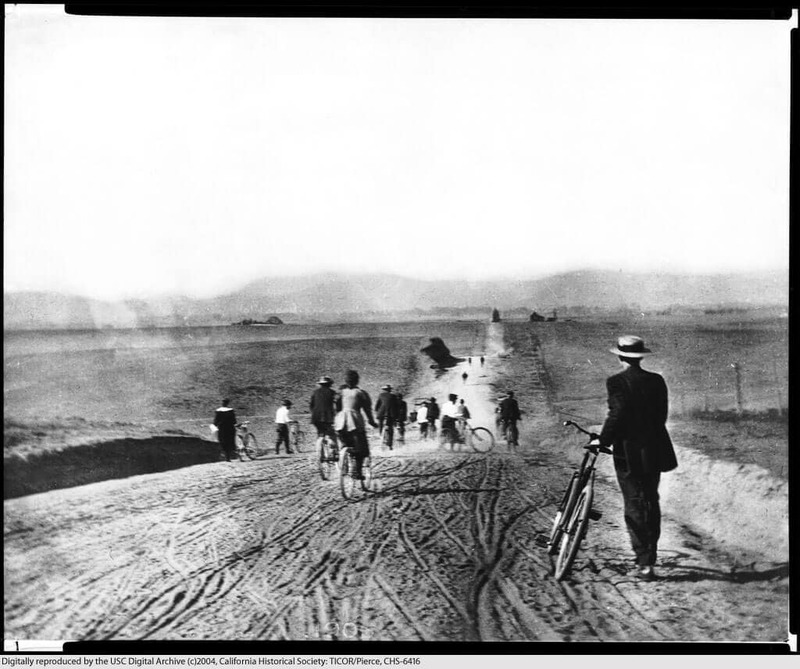 Acting on the advice of Famers and Merchants bank manager Ralph Morgan, Wilshire purchased a thirty five acre abandoned barely field on the western edge of the city for $52,000. It was a wedge-shaped lot that smelled heavy of oil from nearby pumps. The western boarder was Sunset Park, a brown weedy piece of land that had been deeded to the city by a widow but had been left to . Wilshire’s real estate investment strategy was to purchase land just outside the edge of the city and in the direction of growth and sit on it while until the city spread out to meet it. Seeing that they had missed the big land boom in Los Angeles, Henry and William traveled to Long Beach to search for opportunities in this developing area. There was a rumor of a potential harbor there and if the railroad line was extended that would increase property values many times over. Even though Henry was not trained in city planning, surveying or as an engineer, despite the lack of bona fide qualifications he began mapping out the city of Long Beach. Henry made sketches of roads lined with trees and lampposts. His natural social charm befriended him with key city leaders. His enthusiasm catching the city commissioned Henry to work in conjunction with the city engineer. The Wilshire brothers held investments in Long Beach until 1889. A fire burned down the Long Beach Hotel, which they were living in, and the market in Long Beach was starting to drop. Henry and William moved further south to Orange county. A chance meeting with Edward and George Amerige lead to a lucrative investment in the burgeoning town of Fullerton. The Amerige brothers had struck a deal with railroad agent George Fullerton to give the railroad some of their acreage in return for laying tracks through their land on a the route to San Diego. It probably helped their chances that they were proposing to name the city Fullerton. 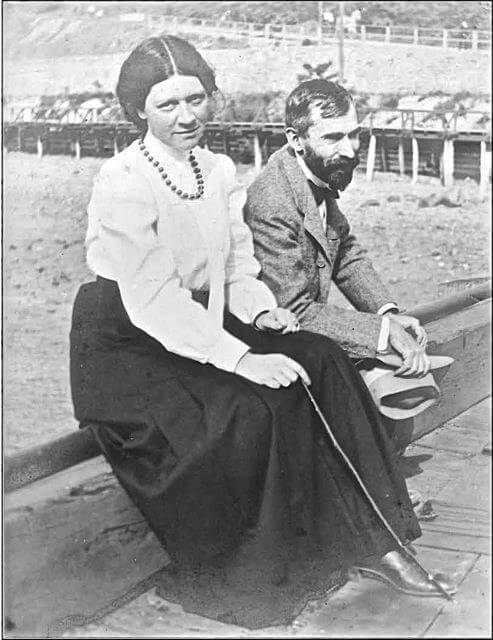 Henry married an attractive Welsh women he met at the California Club named Hanna Owen in 1889. She was a fiery anarchist and William didn’t care much for her. William returned to San Fransico in 1890 after their father George passed away. Groerge left nearly all of the family fortune to his second wife Sarah who disliked Henry. Henry sued her, but was laughed out of court. Sarah eventually gave Henry $200,000 to shut him up. That same year the Socialist Labor Party decided to run a candidate for Congress. The party members selected Henry as their candidate in the Sixth Congressional District, making him the first socialist to run for national office in the United States. Henry advanced the socialist message in a public forum. He was beaten quite badly in the election, only receiving 200 votes- however it was considered a success from members within the party. Henry used some of inherentence to start The Weekly Nationalist. The paper lost money, but Henry was passionate about spreading the socialist message. His wife Hannah wanted to move back to London and convinced Henry to join her. They stopped for a while in New York. The Socialist party asked Henry when there to run for Attorney General. He ran, and in November 1891 Henry lost, receiving less than 2,000 votes. Nobody expected him to win and again it was considered a success for spreading the socialist message. Henry moved to London and many of the prominent socialists of the time. Syndney Webb, George Benard Shaw, Henry George, The Countess of Warwick, and HG Wells. In 1893 after Henry became a dual citizen, the British Socialist Party ran him for parliament. He lost again. Henry became increasingly more moderate in his views about socialism, which conflicted with his wife Hannah who believed violence was necessary in order to make change. Henry liked the finer things in life- his whole life he always lived in fine homes, wore fine cloths, and hob knobbed with the social elite. He wasn’t suggesting that everyone would all become farmers. Hannah and him split up and he moved back to Los Angeles to figure out how to make more money- to continue to live the high life and further his socialist ideas. Returning to Los Angeles Henry discovered a lot had changed since he left. The population had grown to over 50,000 and the city had grown to meet his parcel on the edge of town. 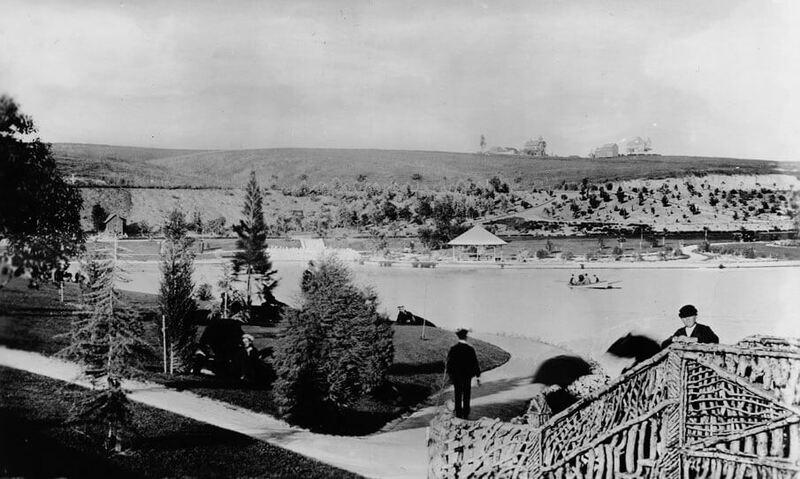 When Wilshire bought the property Westlake Park was a city dump. In 1887 private funds enabled the land to be converted into a park (and renamed for World War II General Douglas MacArthur Jr. in 1942). Gaylord Wilshire told the city that in order for him to permit a street to bisect the property, the boulevard must be 120 feet wide and must bear his name. His street ran between Westlake Park and Lafayette Park. The 16 miles of Wilshire Boulevard which stretch from Downtown to the ocean is the main reason Henry is remembered to this day. Wilshire returned to Los Angeles in 1895. 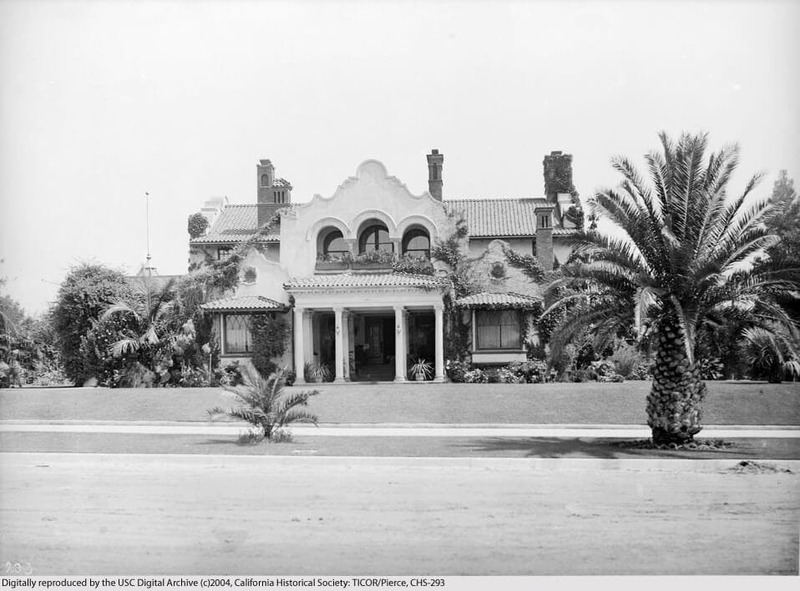 Wilshire was one of the founding members of the Los Angeles Country Club at Pico and Alvarado, which moved westward in 1910 to its present day location in Century City. Henry filed subdivision papers for the parcel December 21, 1895. The lots sold well- the first person to purchase a lot was Colonel Harrison Gray Otis. This was ironic because the Colonel ran the Los Angeles times and was very conservative, and disagreed with Wilshire’s political views. The colonel built Bivouac, a Spanish-Moorish style mansion, with portico and Ionic columns in front, a red clay tile roof and a carriage port. The Bivouac quickly became a status symbol to live near Wilshire Blvd and the cities elite moved in. Henry created a billboard company to post ads on billboards along the trolley lines that were built on Sixth and Seventh Street. The adds sold quickly to soup, cigarette, clothing companies and stores. During this time Henry continued his political activities. Willliam Jennings Bryan, a prominent democratic leader and presidential hopeful was coming to Los Angeles to campaign. When Henry of Bryan’s coming he challenged Brian to a debate. Henry offered Bryan $5,000 to show up and another $5,000 after the debate was over. Bryan didn’t go to Henry’s debate. Henry never one to give up, heckled Bryan, advertising the debate in the Los Angeles Times, and also in Bryan’s local paper all the way in Nebraska. Henry even went so far as to have a sign posted in front of Bryan’s home in Nebraska, inciting his challenge. Henry renamed his socialist magazine from the Nationalist to the Challenge in honor of this affair. Henry also had a little run in with the city for defending free speech- the city had banned public speaking in Sixth Street Park without a permit. Henry held a speech there in protect and was arrested. He was let go with only a small fine. Henry ran for Congress again in the sixth district and lost. Henry’s publication the Challenge was ill timed because of the hysteria that ensued over the assassination of President McKinley by an anarchist, led to a government crackdown on radical publications by denying bulk mail postage rates. Henry was at odds with the third assistant postmaster general Edwin Madden who refused to give Henry bulk mail rates. Henry’s solution was to move to Canada and continue distributing his socialist newspaper there- he changed the format from a weekly to a once a month magazine and renamed it Wilshire’s Magazine with the tag line “let the nation own the trusts”. The last issue of the Challenge was published July 10, 1901. Wilshire’s magazine printed some great content. Jack London printed parts of “People of the Abyss” and “Tramp” in his pages and he printed Upton Sinclair’s “the Jungle”. The magazine interviewed some of the greatest thinkers of the day, including George Bernard Shaw, Charlotte Perkins Gilman, Leo Tolstoy, Oscar Wilde, Eugene Debs, George Herron, Gustavus Myers. Wilshire interviewed John D. Rockefeller on the trust problem. 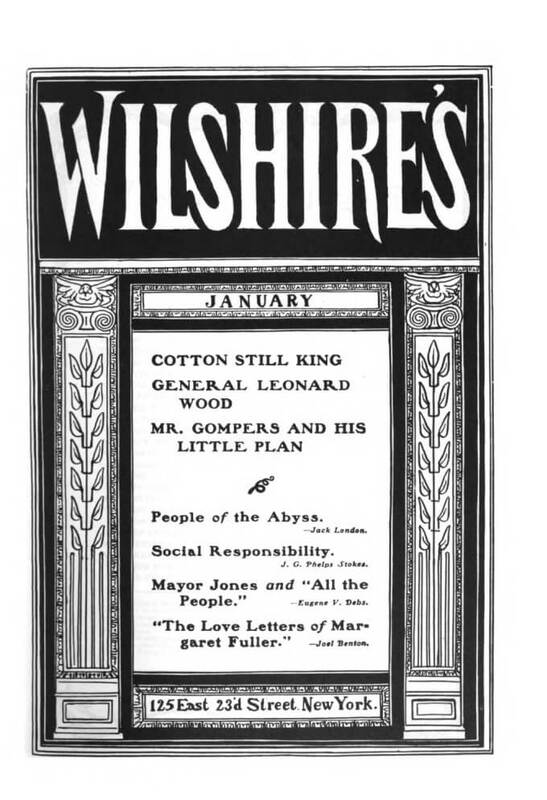 However, Wilshire’s magazine was not profitable. Henry insisted on charging only 5 cents an issue to make the magazine affordable to purchase for the poor. He tried to make up for the deficiete with advertising but it was not enough. Henry began having difficulty paying his authors, and his bills as the magazine was turning into a financial black hole. Another thing was happening during this time. In 1904 Henry met the second love of his life, Mary McReynolds- shortly after that they married. Henry had burned through his fortune publishing his magazine and needed a money making venture to keep him in the black. He became involved in Lost Creek Gold mine in Bishop California. He sold shares in the mine to all of his powerful business contacts. He sold shares of stock in the mine for $2.50. By 1907 Wilshire had sold $2.6 million worth of shares. He used the capital infusion to ramp up production in the mine, buying more claims and equipment. The cost of mining exceeded the profits and by 1916 Wilshire was forced to close the mine. The last chapter of Wilshire’s life is quite strange. Mary became the main source of income for the family during this time as Henry struggled with what to do next. He was suffering from severe migraines, and a conversation with George Westinghouse Jr. about health tonics and the rising wellness industry- sparked an idea for electric energy belt that was suppose to stimulate the iron in the blood stream to promote good health. 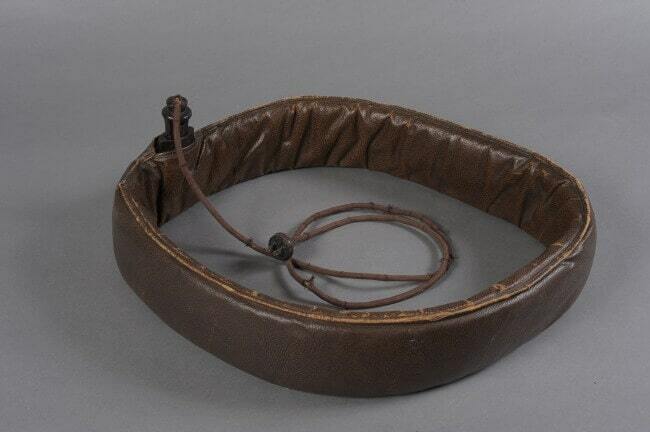 Henry called the invention I-on-a-co electromagnetic belt, priced at $58.50. The belt only cost him $5 to produce. 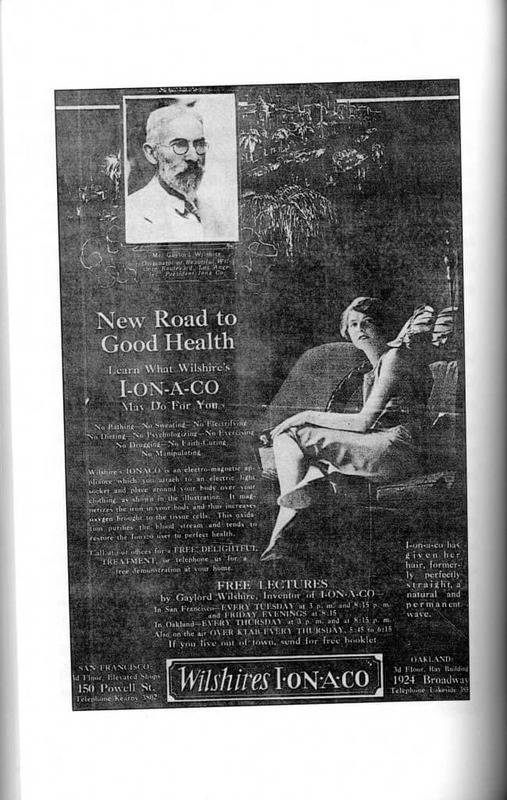 Henry claimed the I-on-a-co helped with a wide variety of ailments, including: constipation, heart disease, bright’s disease, dropsy, anemia, arthritis, goiter, varicose veins, gallstones, pnmonia, and cancer. Strangely enough he received hundreds of letters from satisfied customers who swore by the belts healing powers. Wilshire sold over 50,000 of the belts and by 1927 had cleared over $1 million profit. While he lived in luxury most of his life, when Wilshire died in 1927 of heart attack, he had only $15,000 to his name. Hi, James. Cool article. My grandfather always told me there was a family connection, but was vague about the details (he wasn’t much for geneaology). My family’s lived in the Cincinnati Area (northern Kentucky) for years, so reading that HGW originated in Cincinnati supports the theory. If you have any ancestry materials for HGW’s parents/grandparents, and progeny, I’d love to see it.